Modern equipment. New kitchen, new bathroom, comfortable beds, double windows. 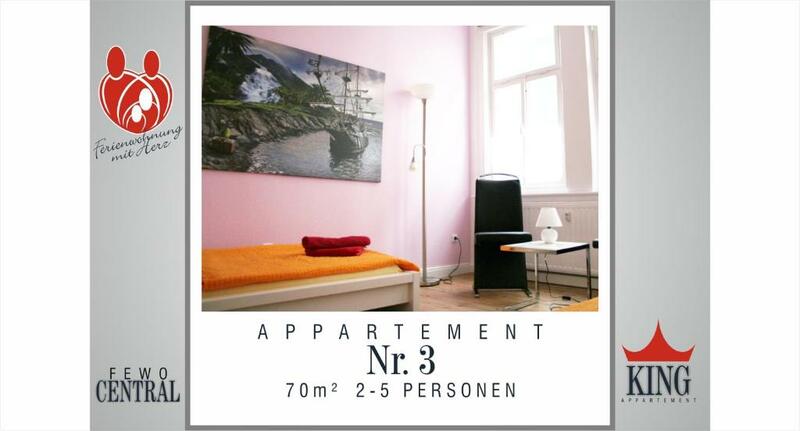 In the centre of the city, near to all interest points, bus central station (Goetheplatz), Ilm Park, train station (Weimar Hbf) 12-15min walking. Next visit to Weimar will book again witjout a doubt! 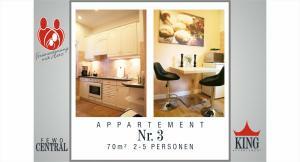 The apartment was great: modern, spacious and with a well-equipped kitchen. The location was perfect, right in the centre of town, and the free private parking a few blocks away was very good (you need detailed instructions from the owners on arrival to find it). The price was excellent, and we appreciated being able to check in early when the apartment turned out to be ready. Despite the scorching temperatures outside, it was nice and cool in the apartment. 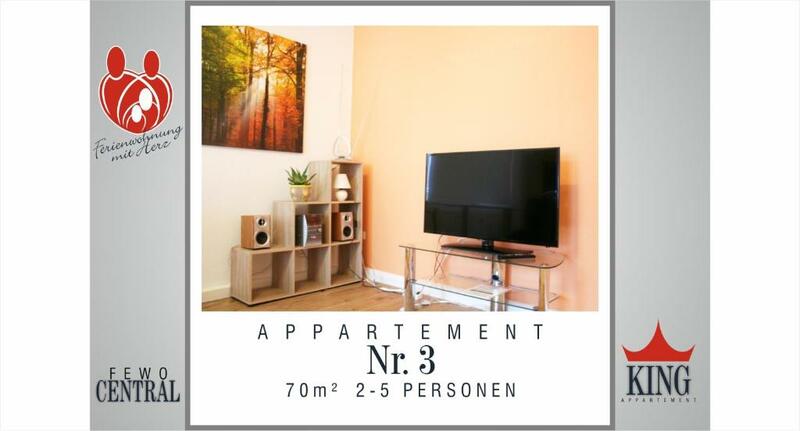 - The apartment is spacious, comfortable, well equipped, very clean. 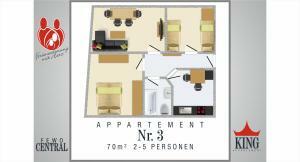 - Very good location in the center, all the sights and restaurants, cafés, etc are just a few minutes away on foot. - Hosts are available and helpful, everything is well organised. Die Lage ist mitten in der Stadt und sehr gut zu erreichen. Es ist eine Wohnung mit viel Platz. Sehr geschmackvolle und sehr saubere Wohnung. Perfekte Lage, alles ist zu Fuss gut erreichbar. Sehr freundlicher Empfang und unkomplizierte Schlüsselübergabe. Sehr gutes W-lan. Zentrale Lage, (fast) alles zu Fuß erreichbar. Netter Empfang, Parkplatz-Empfehlung direkt in der Nähe. 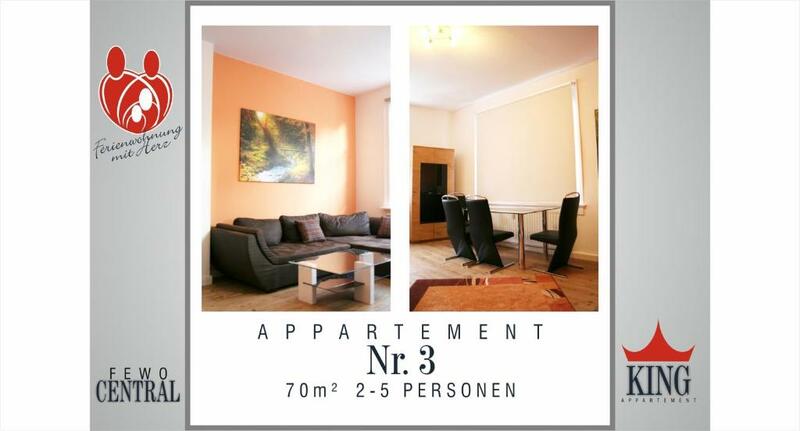 Sehr schöne Wohnung, perfekt für 2 Personen, ideale Lage mitten in der Stadt, Parkplatz in der Nähe. Sehr empfehlenswert! Lock in a great price for Wimaria Apartments - Central – rated 9.1 by recent guests! Centrally located, this nonsmoking studio apartment offering free WiFi is directly opposite Johannes Falk Denkmal Park in the heart of Weimar. St. Peter and Paul Church is just 550 feet away. 1A FeWo Central is colorfully decorated with stylish design and modern furnishings. 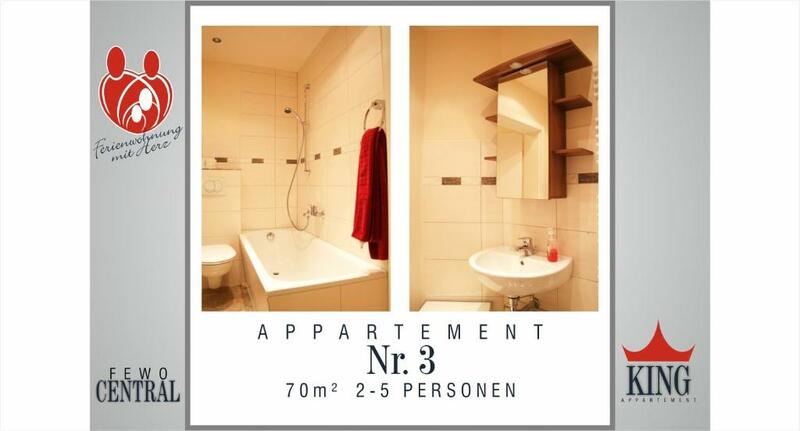 This studio apartment features a flat-screen satellite TV and a bathroom with bathtub and shower. Guests are invited to prepare light meals and snacks in the provided kitchenette. A wide variety of restaurants and cafés are reachable within a 5-minute walk from the apartment. The Bauhaus Museum is 750 feet from 1A FeWo Central, and the Goethe National Museum is 2,450 feet away. Eigenheim Gallery is just a 2-minute walk from the apartment. Weimar Train Station is 15 minutes on foot, and the A4 motorway is 4.3 mi away. When would you like to stay at Wimaria Apartments - Central? This large studio apartment features a flat-screen satellite TV, kitchenette, and a bathtub. There is no capacity for a baby cot in this room. This apartment features a toaster, microwave and oven. This apartment features a satellite TV, stovetop and dining area. Unser Haus wurde 1865 von meinem Großvater erbaut. Dieses Haus ist unmittelbar in der Stadtmitte von Weimar. Der Graben ist vom Verkehrsfluss relativ stark abgeschottet. Dadurch haben Sie die Möglichkeit hier relativ ruhig zu übernachten. Wir haben zwei Kinder, sieben und elf Jahre alt. Wenn wir in Urlaub fahren bevorzugen wir Ferienhäuser und Apartments. Aus diesem Grund haben wir uns entschieden für unsere Gäste in Weimar moderne und zweckmäßige Apartments herzurichten. 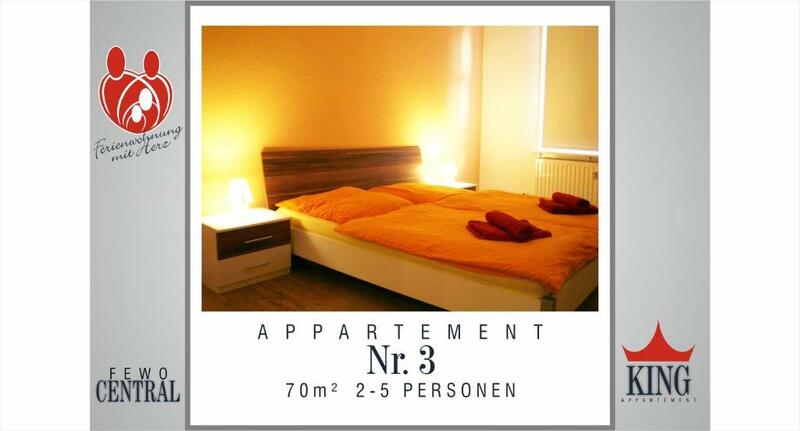 House Rules Wimaria Apartments - Central takes special requests – add in the next step! All children under 4 years are charged EUR 10 per night when using existing beds. Wimaria Apartments - Central accepts these cards and reserves the right to temporarily hold an amount prior to arrival. Please inform FeWo Central of your expected arrival time at least 30 minutes in advance. You can use the Special Requests box when booking, or contact the property directly with the contact details provided in your confirmation. Please note this hotel accepts payment by cash only. Please inform Wimaria Apartments - Central of your expected arrival time in advance. You can use the Special Requests box when booking, or contact the property directly using the contact details in your confirmation. beds were a little soft, but only our opinion. Could be perfect for others plus we find beds are softer in Europe than U.S.
Internet wifi did not work on the 2nd day... But it was not important for me and probably because of some configuration problem. It would have been good to have a double bed rather than two singles. It cost me a lot of money to prepay the rent, because they don't take credit cards. There was insufficient spoons for the party size. Rooms were stuffy as we could not open the windows fully overnight with it being a ground floor apartment. Location was good for the old town. The location. Convenient and quiet. The internet signal is too weak, it barely worked. The house was large and comfortable.